One of my favorite things to hoard are scrapbooking supplies - even before I started doing Project Life! I've always been in love with scrapbooking supplies and one of my biggest problems was using them up. I love the all the patterns and packs you can find, but I am always afraid that I will use the scrapbook paper in one layout and the immediately regret it. I'm not good at committing I guess. That's one thing I love about doing Project Life - you can change things easily as you make a layout. This post contains affiliate links, please read my disclosure here. Supplies - PicMonkey.com, printer, card stock, paper trimmer or craft knife and ruler, various pattern generators as mentioned below. First there are three pattern generators I want to mention - Tartan Maker, Stripe Generator, and BG Patterns. Each of these creates a custom background based on the hex code corresponding to colors that you input. 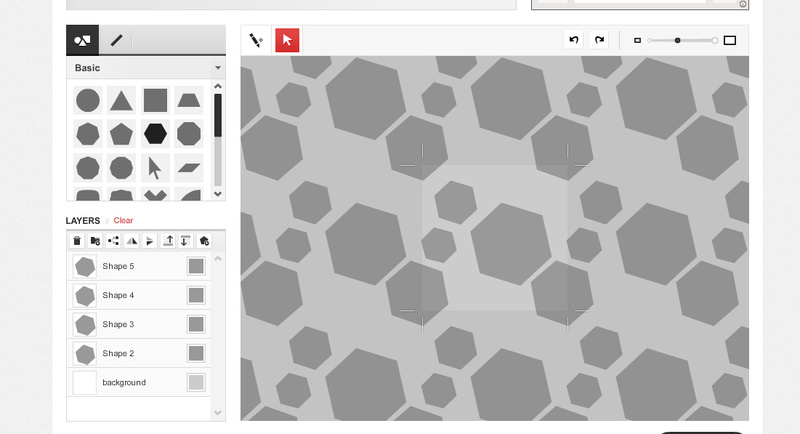 I use ColourLovers to find palettes (or create palettes - tutorial here) and use those hex color codes in the patterns. The hex code is the six digit combo of letters and numbers that correspond to colors. ColourLovers gives you both the hex value and the RGB value of the colors in your palette. Each website operates nearly the same, but for this demo I'm going to show you Tartan Maker. There are many values you can play with - direction, yarn size, colors, etc. 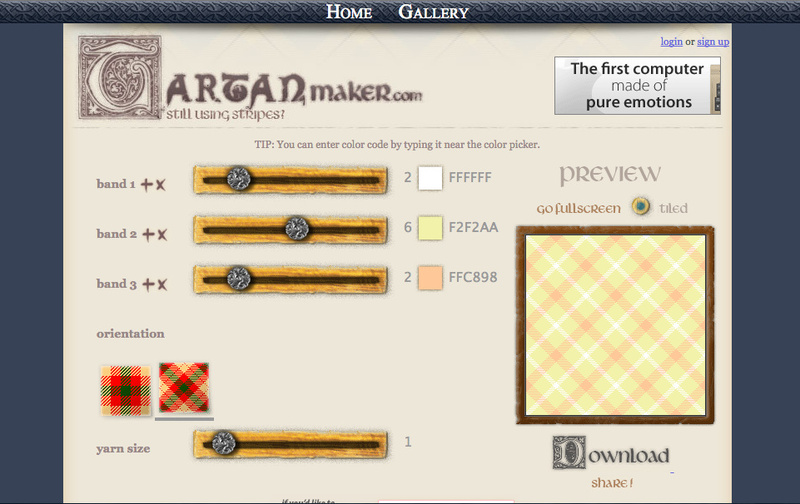 Simply copy the hex code from ColourLovers and past it into the text field on Tartan Maker. You can also use the color picker by clicking the solid color boxes next to the hex codes and picking a color you like. Once you've input your values, click the make it over the preview. You'll see a live preview of your pattern. If you download this preview you're only getting a small tile, since we aren't in art school and no one will get mad at us, aaaannnnddd this method is totally acceptable for this project - we're going to take a screen shot. Find the option to go full screen on the website and take a screen shot - If you're on a Mac Command+Shift+3 will take a screen shot and immediately save it to your computer. If you're on a PC you'll use the Print Screen key and paste the image into a program like paint and save it. 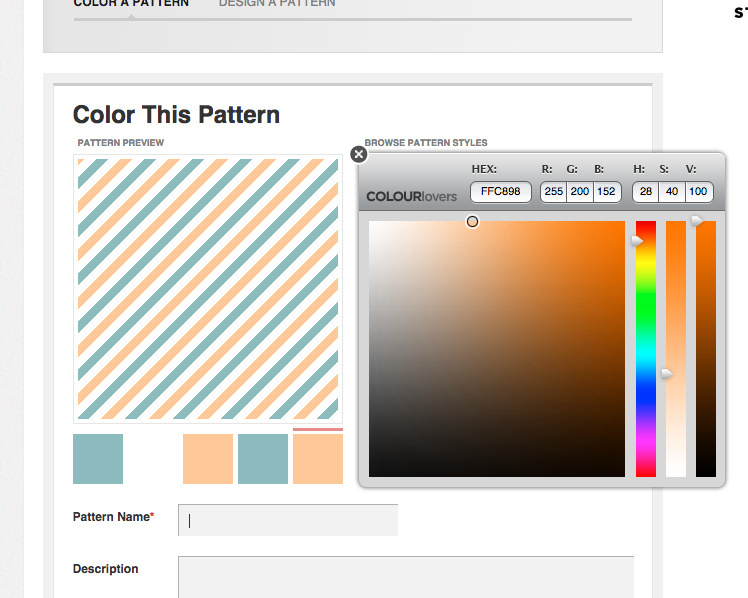 Another really cool place to find and create patterns is ColourLovers. Using the search bar you can search for different patterns. Use creative keywords - not just dots or stripes - because you never know what you might find. Once you find a pattern you like, you can either download the 1600x1200 images under the share this pattern menu on the right hand side or you can color it yourself (by clicking color this pattern under the pattern image) with the hex codes of your color palette. 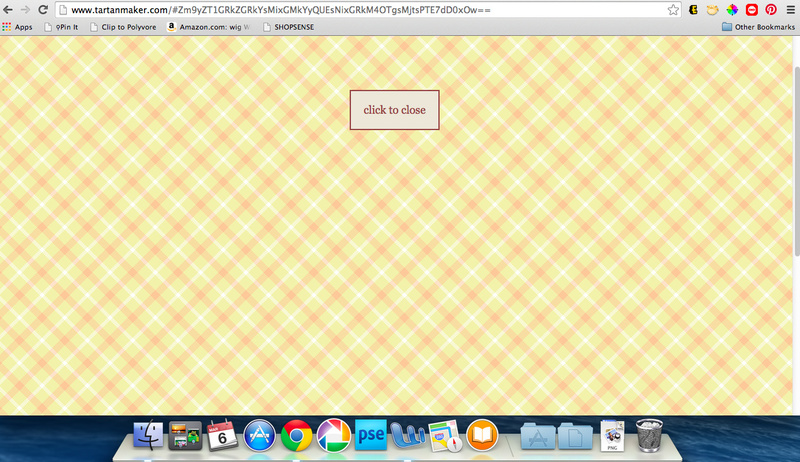 You can also use the create button to make your own pattern with different shapes. These can get super complex or be super simple. Make sure you change each shape to a different shade of gray so you can color each shape a different color when you save your pattern. You can do this by clicking the square box of color under the layers menu on the left hand side. The pattern maker is a fun tool to play around with. Once you save your pattern design, color it with your hex codes, save it, and download the 1600x1200 image. To create patterns and palettes you'll need to create an account. Since PicMonkey is my favorite site for easy designing, I'm using it again today! To create the cards open your patterned images or screen shots in PicMonkey. Using the crop tool, crop to the size you'd like. Personally, I think that the 4x6 cards are great as plain patterns but creating 3x4 cards with patterns and text is pretty cute too! Once it is cropped, use the rotate tool if you need to. I used some fonts and overlays from the Royale feature of PicMonkey but the free version has some amazing fonts as well. This powerful mini design machine is only $4.99/mo or $33/year. Love it! For the blue Spring card I used a pattern from ColourLovers, same as the Remember This card. The plaid card was made with the Tartan Maker. Repeat this step with all the patterns you could ever think to make! Save your images as a .jpg and print them how you wish (I use Picasa). Trim them and slip them in your scrapbook or even use them in the Project Life app! How do you get creative with your favorite supplies? Any other tips you have for Pocket Scrapbooking? find more PicMonkey tutorials here! oh, ps - if you want the set of three I designed for this post, click here!